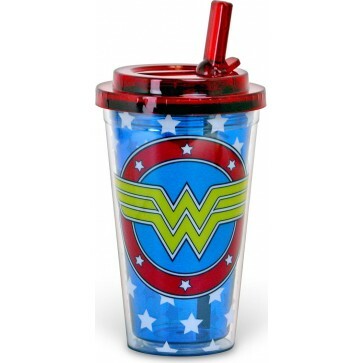 DC Comics Wonder Woman Logo and Stars 16 oz Plastic Cold Cup with Lid and Flip Up Straw. Hand wash only, not microwave safe, BPA free. A Superhero is any person intent on making the world a better place. 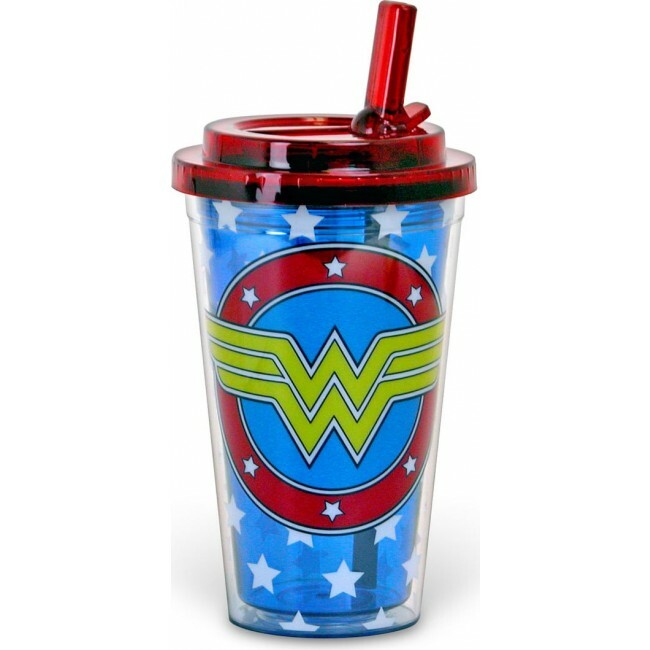 Feel like a Superhero with the DC Comics Wonder Woman Logo and Stars 16 oz Plastic Cold Cup with Lid and Flip Up Straw. Hand wash only, not microwave safe, BPA free.